Once upon a time, television didn’t have much to offer: a tired business model, cheesy storylines, and characters who represented one type of person: the straight, cis, white, able-bodied middle-class. Of course, there have been some notable interruptions to this history – Twin Peaks serving as a beacon for surrealism, Buffy the Vampire Slayer and its feminist message, The Jeffersons addressing race and class, Degrassi Junior High confronting taboo social issues, All in the Family voicing the battling attitudes of its time, The Simpsons revolutionizing the medium of cartoon and its audience – but for a large part, television was truly not making strides. 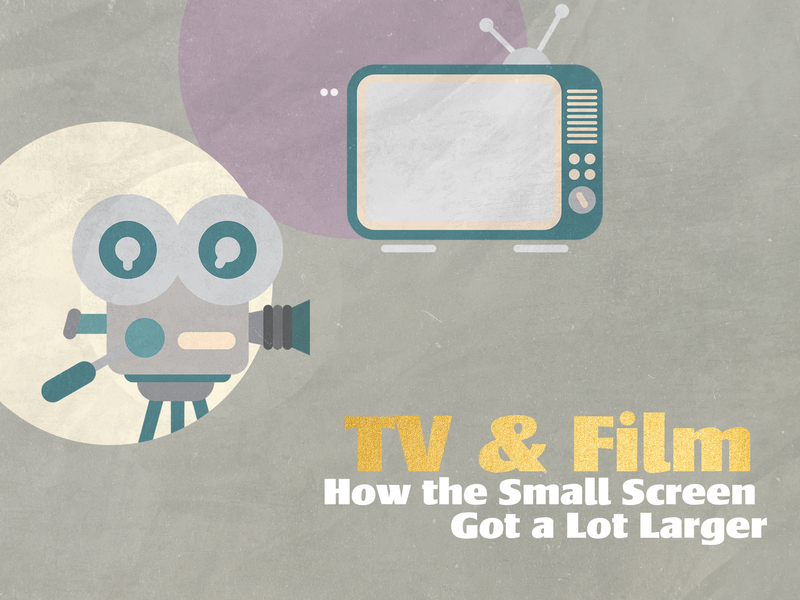 Now, with a variety of viewing platforms and business models, and the increasing representation of different genres and characters, television has reached the high bar set by iconic films. 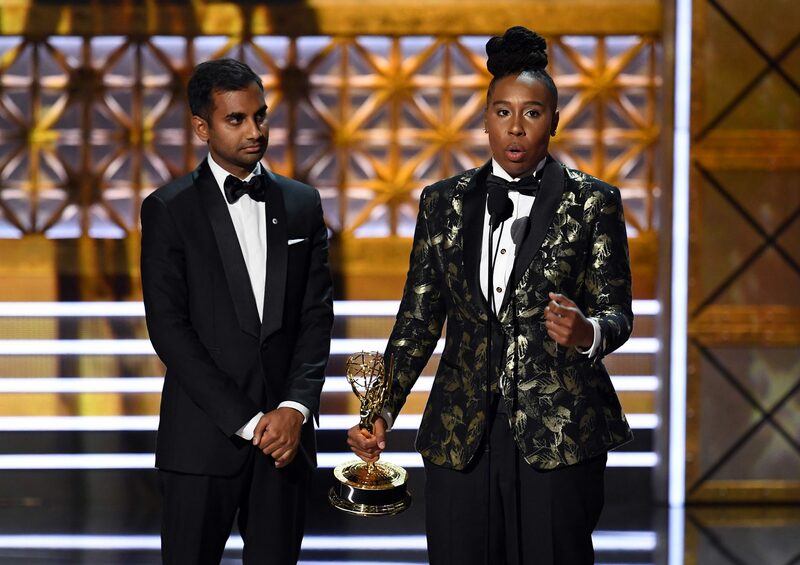 At this year’s Emmy Awards, Master of None actor and writer Lena Waithe made history, as the first black woman to win for Best Writing for a Comedy Series. In her speech she thanked audiences “for embracing a little Indian boy from South Carolina and a little queer black girl from the South Side of Chicago.” Granted, Waithe’s tremendous success is just a drop in the bucket in terms of finally representing a variety of voices, but how did we get here? Diverse representation on-screen has always been a point of shame in both television and film. Sponsors lacked confidence that their products would sell without a blue-eyed, blonde-haired family to peddle them. Since the internet’s democratization of television however, the viewer is finally gaining control of what we see on our screens…and viewers want to see themselves. Sponsors have begun to take on a different role and begun to realize that in order to move with the times, diversity is key in terms of characters, stories, and even source material. Kim’s Convenience began as a stage play, but it was soon recognized that the story of a dysfunctional yet entrepreneurial immigrant Korean family resonated past the walls of the theatre. Carmilla began on YouTube and has now won many awards, largely praised for its representation of women and the LGBTQ+ community. Carmilla is interestingly sponsored by U by Kotex, a brand which has positioned itself as a champion of a realistic image of women. 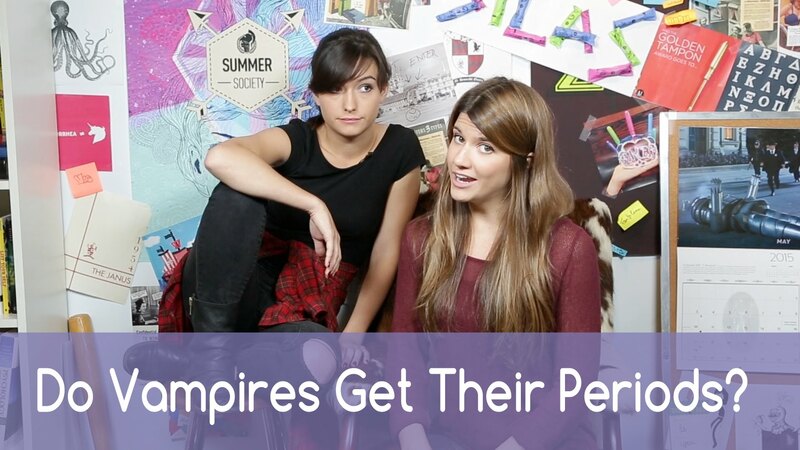 By partnering with Carmilla, the brand showed a willingness to embrace new media whose content spoke to their market, as well as an intelligence to choose a show whose platform was accessible to their demographic. This is just one example of how forward-thinking sponsors have embraced a new role within the world of episodic series, and television in general. With shows like Baroness von Sketch and Mohawk Girls showcasing women as funny, interesting, flawed characters, television is taking risks and boldly going where no man (literally) has gone before. Orphan Black features a variety of people with different sexual orientations and Tatiana Maslany herself plays a wide range of characters. While the film industry still caters to sure-fire box office hits, television has the advantage of producing lower budget work and therefore the ability to take bigger budgetary risks, as well as the test platform afforded to it through sites like YouTube, where off-beat hits like Broad City and edgy comedians like Donald Glover got their start. 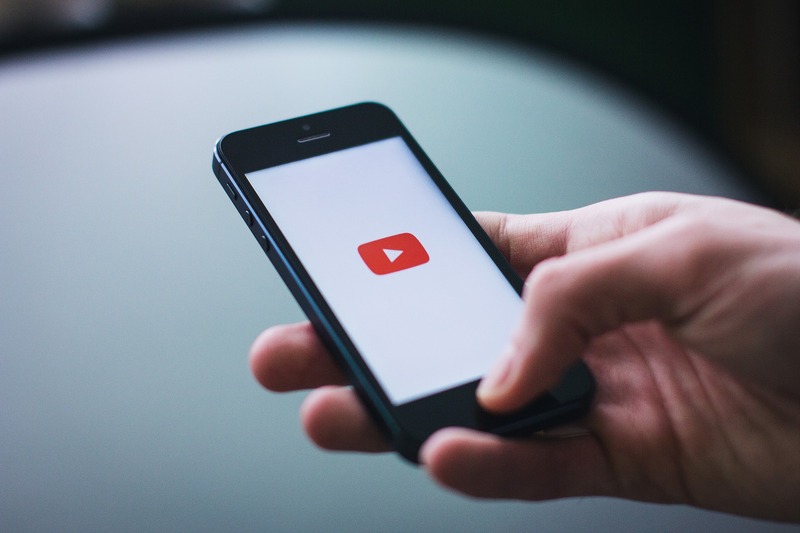 Sites like YouTube have played a huge role in getting the television industry to where it is today, not only through serving as a platform in a supportive capacity, but by totally transforming media distribution. To state the obvious, it is hard to break into the industry. For some, the right choice is to work their way up, starting perhaps as a production assistant and slowly gaining credits and credibility. For others however, the right path is to just start creating, and work to get picked up. Like most things in life, this involves financing. Previously, the only avenue to independent production was the independent film – you couldn’t just create a television show and magically get it on the air. In the mid-2000s, the popularity of YouTube and other sites like it began to democratize the world of the series, marking the advent of the web series. This has opened the door for new creators to start their careers in episodic web series and move seamlessly into television, lending television the same fresh and often avant-garde voice previously hallmarked by the film industry. Even a fresh voice however can eventually lose its lustre. Why? Because duplication is often enough the mark of a box office hit. Film can only offer the sequel, the prequel, and of course, the money-making quality-tanking franchise. While television used to sink into the similar comfort of syndication, now, with the subscription model of sites like Netflix ever-increasing in popularity, viewers are not subjected to reruns, and showrunners are motivated to not air the infamous clips show. Viewers are exercising the power to choose, and they’re choosing television. Despite this changing business model within the industry, money of course still reigns supreme. As mentioned before (and unfortunately experienced first-hand by those of us in the industry), films are hard to get financed. The expectation therefore is that the majority of films will be stand-alones. While some television shows are now big-budget productions akin to those of films, there is an expectation of multiple episodes – unlike the one-time deal of film investment, investors in television know that once their money starts flowing, it has to keep going. Even within a franchise, films are created one after another, with the operative word being “after”; this means that their release dates are far apart. Although television is now becoming far less “quick and dirty,” episodes are rolled out weekly on network TV, and on streaming services, full seasons come out a year apart, sometimes less. This allows television shows (and their social media teams) to hold onto their audience in a way that film necessarily cannot. Part of television’s appeal also has to do with expectations. In film, there is an expectation to tell a full story. 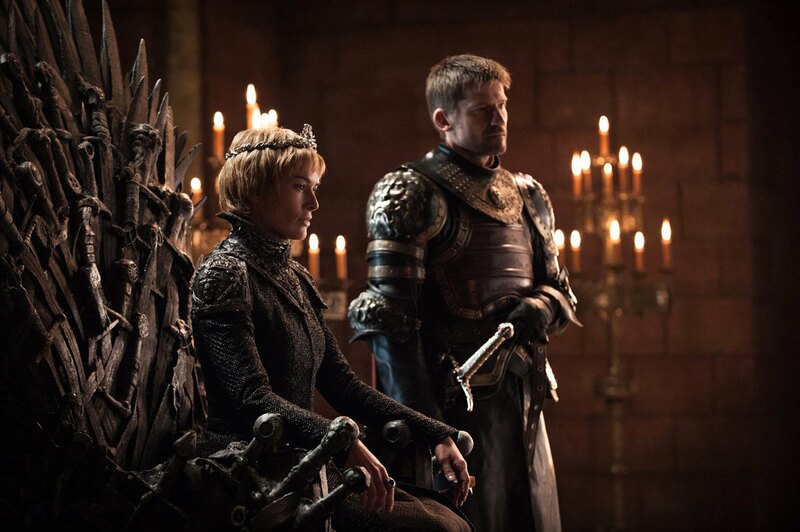 Despite shows like Game of Thrones rumouring to have 90 minute episodes, they have a lesser expectation on them in terms of exposition and resolution. Lower expectations means less disappointment, and despite episodes of many shows being mind-blowingly amazing, it’s hard to escape the fact that you also didn’t have to buy a twelve dollar ticket to see the episode. Part of the reason why people have been willing to pay that twelve dollars is for the experience of beauty and art. Film has always excelled with its cinematography. Multi-camera sitcoms pale in comparison to the immaculate symmetry of Wes Anderson’s The Grand Budapest Hotel, the candlelit, painterly nature of Stanley Kubrick’s Barry Lyndon, and the grand sweeping scenes in Stephen Hopkins’ Race. Television is however catching up. Looking for the sweet and saturated colours of Wes Anderson films? 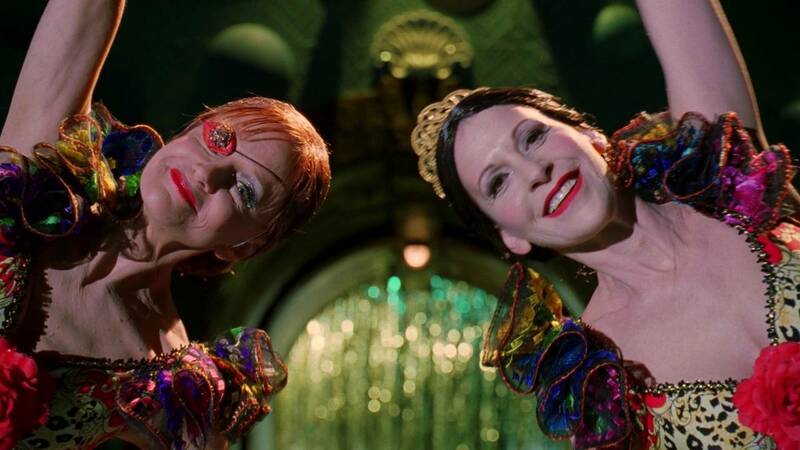 Look at Pushing Daisies. 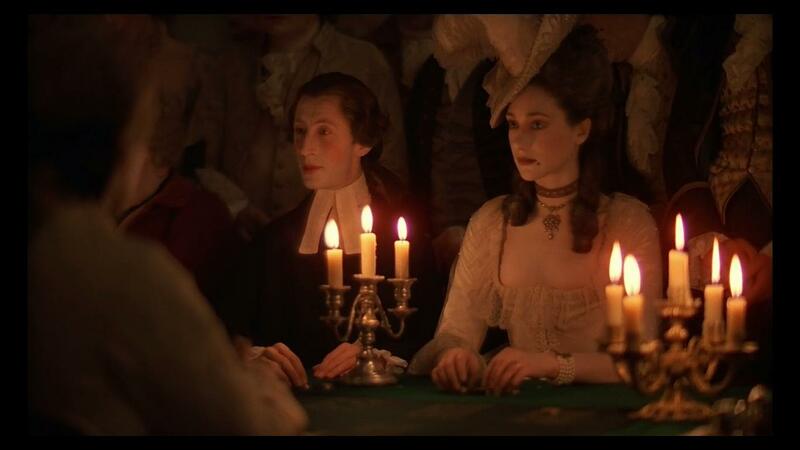 Interested in a Barry Lyndon-like classically soft beauty? Check out Transparent. Want the grandeur of Stephen Hopkins’ work in Race? Look no further than The Handmaid’s Tale. Television is starting to win the beauty contest. Television may be beautiful now, but does it have the brains to back it up? The short answer is, yes. On the Canadian side of things, Trailer Park Boys revolutionized storytelling, popularizing the single camera mockumentary style later used by The Office and Modern Family. British cult classic Peep Show brought point of view shots as a method of storytelling into television’s zeitgeist. The American show Community took metafiction to the next level…and these shows are just in half hour comedy. Other shows like the Emmy award-winning serialized web series Guidestones offered viewers an interactive experience back in 2012, using apps like Shazam and tools like QR codes to invite viewers to solve the mystery alongside the characters. Television will never take the place of film; they are simply different mediums that serve different purposes. Television has however seriously upped its game. While it once only served as a means for quantity airtime, it has now become a true contender in the reign for quality airtime.